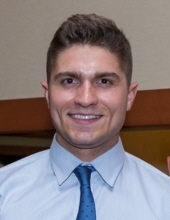 The death of Jason Saccone, an Arlington Heights man and Hersey graduate who was found unresponsive in Petite Lake on Saturday, August 4, 2018, has been ruled a drowning, Lake County authorities said Tuesday. Jason Saccone, 23, died Saturday after he was pulled from the water about 5 p.m. at the Petite Lake Sandbar, where he had been boating with friends. He was rescued by friends, brought to shore in a private boat, and then the Lake County Sheriff’s Marine Unit and Antioch firefighter/paramedics took over life saving efforts. Jason Saccone died at Advocate Condell Medical Center Saturday evening, August 4, 2018 after he was pulled from an area near the Petite Lake Sandbar. Jason Saccone’s identity was released by authorities Monday, August 6, 2018. Jason graduated from Hersey High School in Arlington Heights in 2012. He earned a bachelor’s degree in Management from Indiana University (Bloomington) at the School of Public and Environmental Affairs in 2016. He also received a Business Foundation Certificate through the Kelley School of Business. Saccone worked as an account manager for Great Lakes Coca-Cola Bottling, according to his obituary. Funeral arrangements are at Glueckert Funeral Home in Arlington Heights (www.glueckertfuneralhome.com). On Saturday, August 4, 2018 the Lake County Sheriff’s Marine unit was dispatched about 5:05 p.m. Saturday, August 4, 2018, to the Petite Lake Sandbar (located on the Chain O’Lakes) to a report of an unresponsive person arriving on a boat on shore near Grass Lake Road. Rescuers were told that the victim was in a boat heading toward shore, and when Lake County Sheriff Marine Unit Deputies arrived they confirmed that the victim had already been pulled from the water near the Petite Lake Sandbar. Marine Unit Deputies arrived quickly, performed CPR on Jason Saccone, and deployed an Automated External Defibrillator (AED) until paramedics arrived. He was transported by Antioch firefighter/paramedics to Advocate Condell Medical Center in Libertyville, where he was pronounced dead. Preliminary investigation showed that Saccone did not know how to swim and went under water where the depth was 8-10 feet. He was under water for approximately two minutes before he was pulled out. Alcohol may have been a factor, according to police. Visitation Thursday, August 9, 2018 from 3:00 PM until 8:00 PM at the Glueckert Funeral Home, Ltd., 1520 N. Arlington Heights Road, (4 blocks south of Palatine Road) Arlington Heights and Friday, August 10, 2018 at St. Cecilia Catholic Church, 700 S. Meier Road, Mt. Prospect, IL 60056 from 9:00 AM until the time of mass at 10:00 AM. Interment will be at All Saints Cemetery in Des Plaines.